Visiting Hampton Court Palace Flower Show in 35 degrees of heat is not an experience I can recommend or would care to repeat. 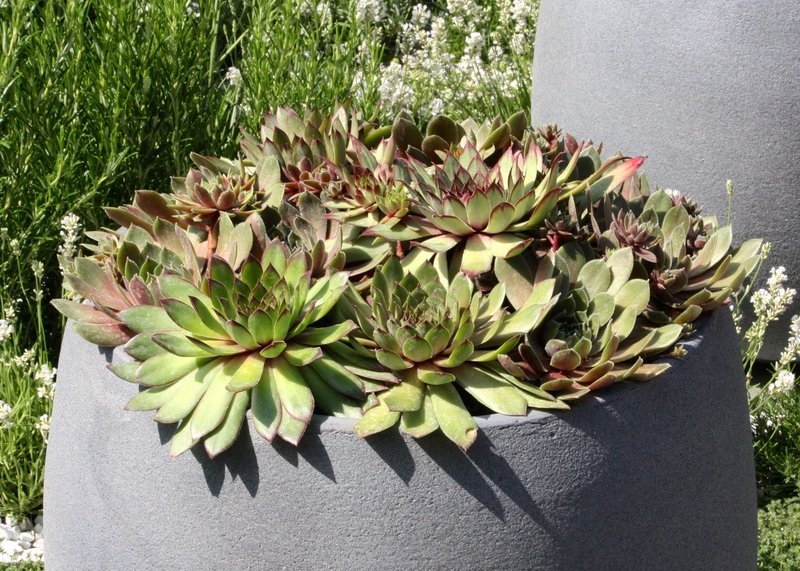 The trains out of London Waterloo were hotter than a bean tin on a camp fire, the marquees were as humid and airless as the Amazon and after the first day many of the gardens were already looking decidedly frazzled. Throughout the day the double avenues of lime trees parallel to the Long Water provided shelter for weary, sweaty, dust covered show-goers, overheating despite loose layers of linen and wide-brimmed summer hats. A walk across one of the pontoons offered just the remotest chance that one might be sprayed by water from the magnificent fountains. It was hot, damn hot. Even making allowances for my own considerable discomfort, this year’s show gardens were the most disappointing I can recall. Quite how some of them even got off the drawing board I do not know. Funnily enough the gardens that shone were those that paid homage to hotter climes. 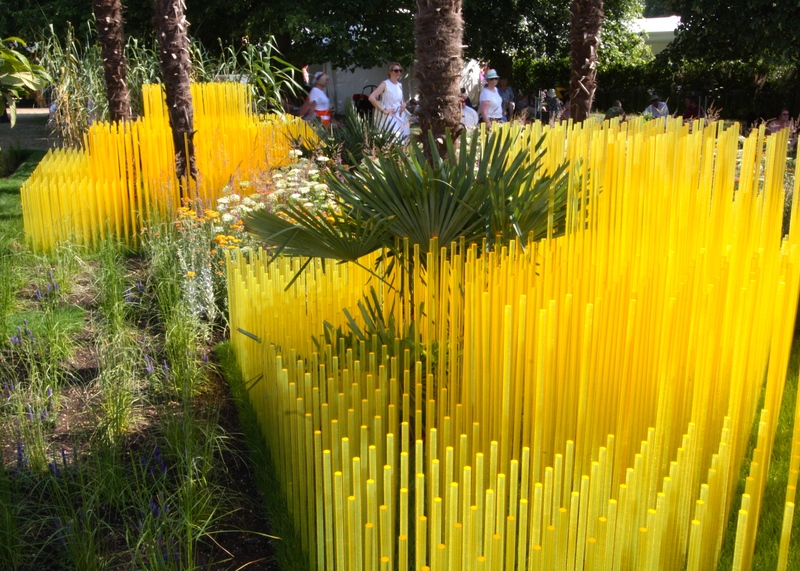 The Turkish Ministry of Culture & Tourism’s ‘Garden of Paradise’ thoroughly deserved gold and Best World Garden. 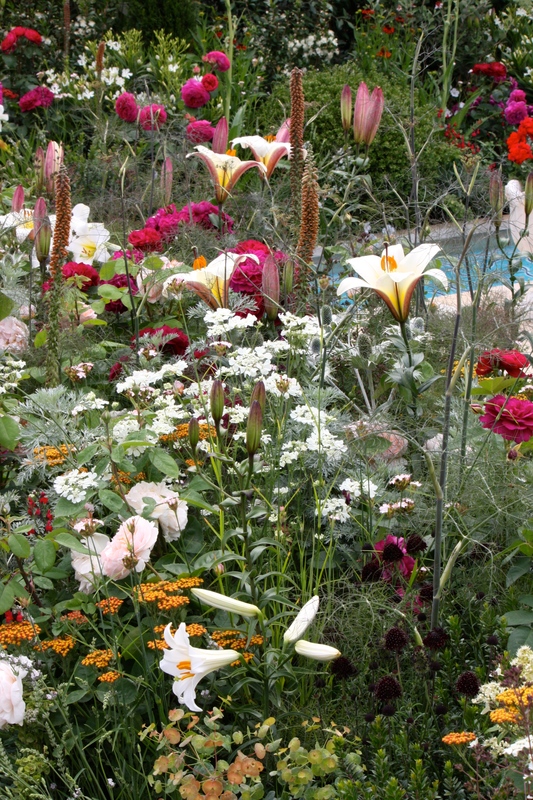 Designed by Nilufer Danis this garden’s delicious confection of scented roses and lilies was sweeter than anything Fry’s used to make. I loved it. It was great to see the transformation of John Warland’s World Vision Garden from flooded rice paddy to ripening grain field. The design’s second incarnation was larger and lusher than the first, criss-crossed by narrow grass paths. Equally suited to the searing heat and high humidity was the African Vision: Malawi Garden which was awarded a gold medal. 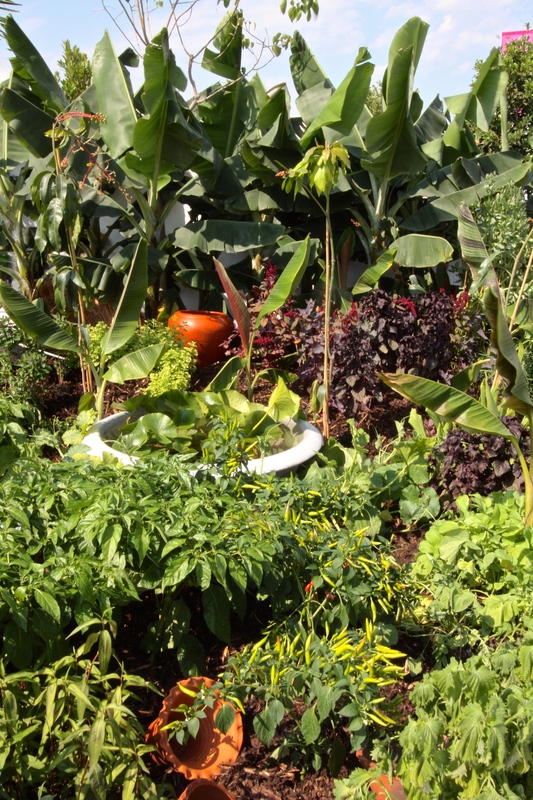 The garden told the story of a nation striving to promote the practice of sustainable planting in order to build resilient communities and combat famine. 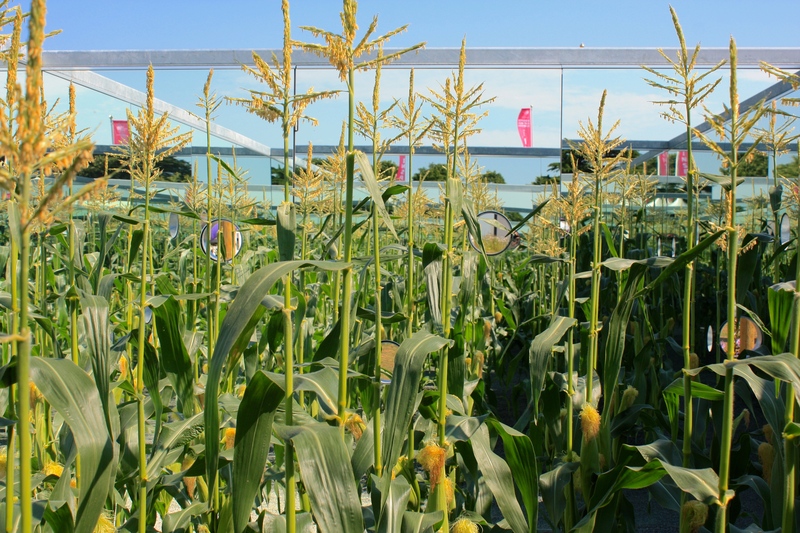 A field of maize could be viewed inside a mirrored box, giving the impression that the field slid towards infinity. I was utterly transported by True Fair’s Sri Lanka Tranquility Garden designed by the level 2 students at Bicton College. This garden didn’t gain any medals, but was perfectly suited to the tropical heat and shone brilliantly in the hard summer light (unlike my photography). The re-configured show ground was muddled and confusing, underlining the show’s lamentable (hopefully not inevitable) transition from world class flower show to provincial country fair. There is a fine balance to be struck between commerciality and horticulture at Hampton Court and in my view the balance has tipped too far towards the former. The result of promoting trade stands to key locations was that many show gardens lacked an appropriate background. 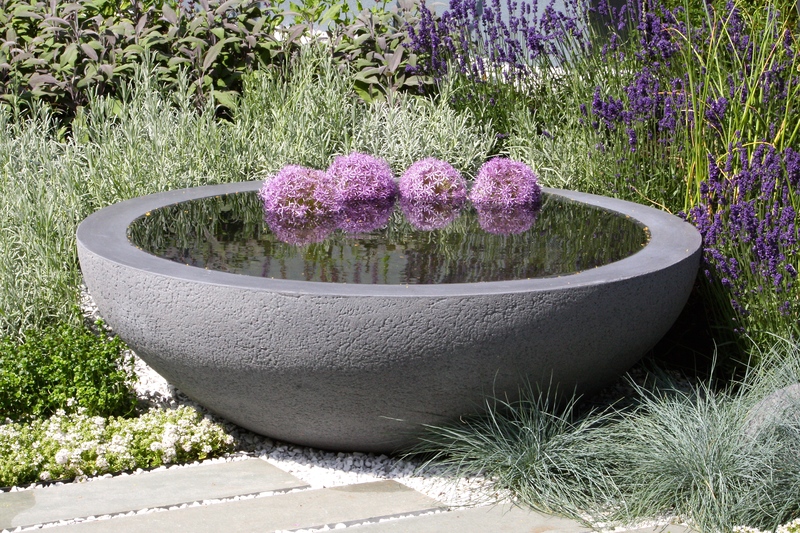 Those that floated in island sites really struggled to convince, with the notable exception of Hadlow College’s ‘Green Seam’, which was awarded best show garden. As you might have deduced by now, I was not enamoured. Salvation came in the shape of Helen of Oz, more accustomed to the furnace-like conditions than I and fabulous company. Laurent Perrier and Belvoir cordials, each refreshing in their own way, were lifesavers. I’d take all of them to my desert island. The only aspect of the show that met my expectations was the floral marquee which was as glorious as ever, packed with remarkable plants and their talented growers. They each demonstrated their tenacity simply by enduring the stifling humidity all day long. Quite how many of the parched, wilting plants purchased yesterday will have made it safely to their new home I don’t know. I’m pleased to report that mine did, but they were overdue a good soak by the time they reached Highgate. Having questioned whether Hampton Court Flower Show would be design heaven or style circus, I have to answer that it was neither. An average abberation perhaps. I sincerely hope that 2015, the show’s 25th year, was a case of trying just a little too hard and that we’ll see an improvement in the show gardens and layout next year. A bit of proper English weather wouldn’t go amiss either. 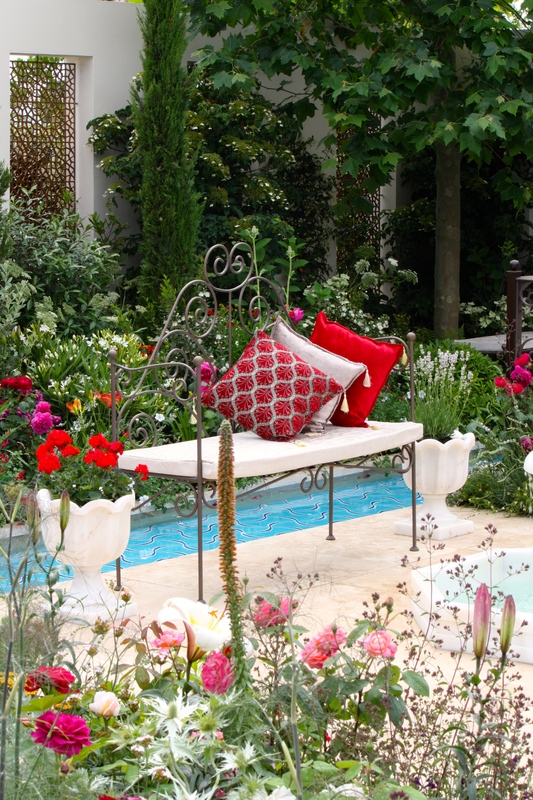 Hampton Court Palace Flower Show runs until Sunday July 5th. I see what you mean, but I enjoyed it, I always do, but boy was it hot. Thank goodness for the lime trees. I kept lying flat out under them and tried not to notice the sheep poo. 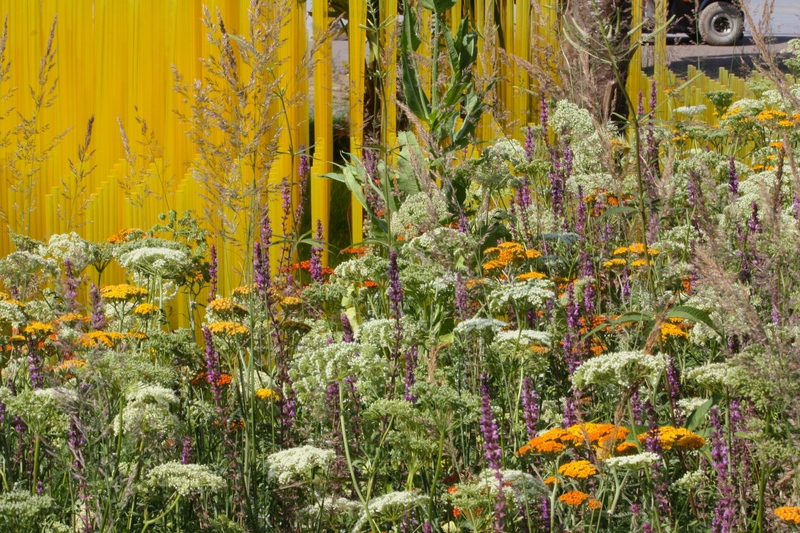 Brilliant idea to transfer the world vision garden and develop the planting for Hampton court. Lovely review. I don’t like it hot either, but you got to see few interesting displays; worth the effort. The Garden of Paradise makes me want to believe such thing exists! Just out of curiosity who covers the cost for creating these show gardens? They almost all have a sponsor – a private company or a charity quite often. The former for the glory, the latter to raise awareness of their cause. Occasionally it may be a college, university or tourist board. As you can imagine they are not inexpensive to build. A handful go on to be reconstructed in a permanent location elsewhere. Thanks for the information . . . many appear so elaborate and therefore not lightly undertaken. In terms of advertising, definitely more appealing than a highway billboard. Thank goodness my tour of northern gardens wrapped up just before the heat wave. We had fabulous weather and the gardens, though a bit late because of the cool spring, were really beautiful. Heat makes me grummpy, especially in England where you expect something more civilized. Hope it has cooled down. It sounds really awful. I can’t stand the heat either. With July here now, where I am in the US it is inevitable. I didn’t realize it got that warm there.